In the last days, BT and Fon have rebranded their joint WiFi service.  This rebranding is the result of a collective effort between BT and Fon to simplify WiFi access for its customers and members, making it easy to find and recognize all around the UK. We’re really excited about it. But before we tell you about the rebranding, let us recap just where we’ve come from. A little bit of history: BT has been Fon’s partner since the very beginning. In fact, they’ve been with us since October 2007, and soon, we will be celebrating five years of continuous commitment to each other. BT partnered with us because they wanted to let their subscribers easily become Fon members, participating in a worldwide and increasingly growing WiFi community. To make this happen, we worked out a way to integrate the Fon sharing function into the BT Home Hubs. BT’s customers loved the way that they could easily join Fon, and enjoy our entire worldwide network of WiFi hotspots for free. Together, we have grown the network in the UK to over 3.5 million hotspots. While BT certainly benefits from the WiFi network (after all, it offers a world of service differentiation), the real winners are their customers and Fon members, who are happy to be able to roam on our huge network for free. Of course, at Fon we love this partnership because it helps our community grow! But growing popularity brought a bit of confusion: Prior to this rebranding, BT had two WiFi names: BT Fon and BT Openzone. BT Fon was the residential offering, where people joined Fon and agreed to share the unused portion of their internet connection in exchange for a world of free WiFi. BT Openzone was in public areas such as airports. We realized that this could confuse customers. So over the past few months, we have been working with BT to create a brand that is easy to understand, making it easy for customers to understand to which network they connect. BT Wi-fi is born: BT Fon and BT Openzone hotspots are now under one roof called BT Wi-fi. This means Fon members still get the same incredible unlimited access across the UK and full access to the more than 6 million Fon hotspots across the world. In order to simplify the branding, we changed BT Openzone to BT WiFi and BT Fon to BT WiFi with Fon. If you are a Fon member (including BT broadband customers), just look for the ‘BTWiFi-with-Fon’ signal and connect. BT Openzone’s SSID is now BTWiFi. What’s more, access passes are now valid in the entire BT Wi-fi network, whether you are logging in on a BTWiFi-with-Fon signal, or on a BTWiFi signal. The rebranding not only simplifies BT’s WiFi offerings, but also better integrates BT and Fon, strengthening the partnership between us even further. Under this new, coherent brand, BT and Fon will continue to work together to further expand the largest WiFi network in the UK (and indeed the whole world)- A continued effort to offer the best WiFi service anywhere! Besides, we have a series of other partnerships with leading telcos all over the world, such as: Belgacom in Belgium, MTC in Russia, Netia in Poland, Oi in Brazil, SFR in France, SoftBank in Japan and ZON in Portugal. All of these are co-branded services, so Fon members know where they can connect for free. There are also many more partnerships in the pipeline, so stay tuned!